Driving down the road, I ran across an awesome pecan orchard in Midland, Texas. This is a cool story about one man’s dream to own a business. Silviano H. Garcia is owner of Pecan Tree Partners (PTP). 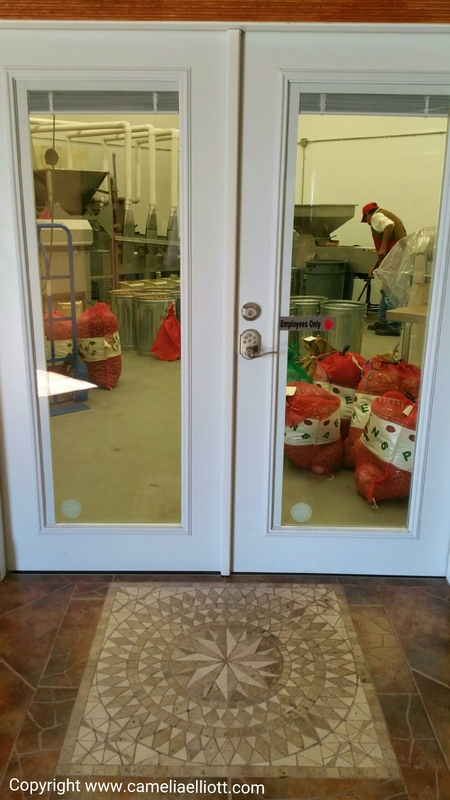 Founded in 2012, PTP specializes in buying, selling and shelling pecans plus provides gourmet treats to individual and corporate clients on site and online. The PTP expertise in the pecan industry is the accumulation of years of knowledge of orchard management, plant management and business sense. Being a quilt designer, I love the quilted tile floor! They will shell your pecans for you. 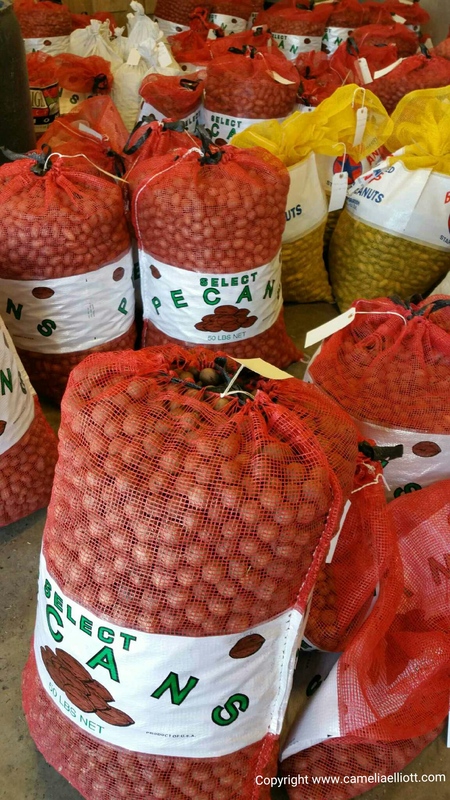 Garcia’s family worked for Pecans International in Gardendale, Texas for several years. “When it closed I took other jobs, and worked to learn more about business, always dreaming of the day I could use what I learned and open my own business,” Garcia says. He created the unique company drawing upon his experience as a businessman in the construction industry, in property management and as an owner of a pecan orchard. Within four years, he was able to acquire private funding, learn from mentors and make his dream a reality. 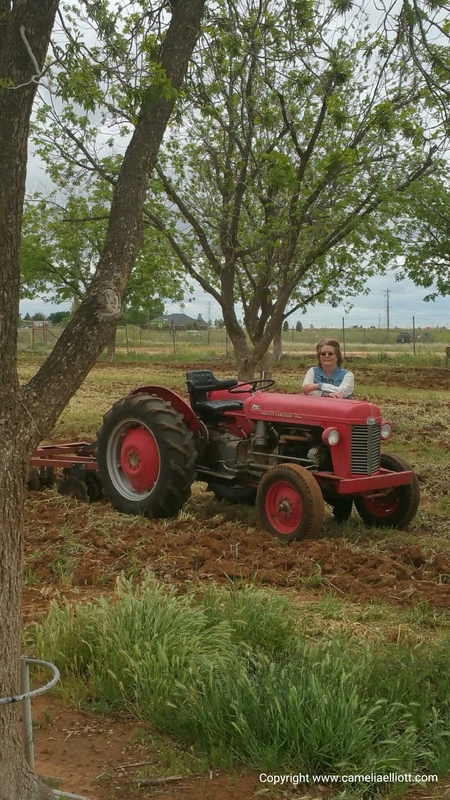 Before finding this yellow rose of Texas, a delightful pecan farm with store, I did not realize there is such a thing as pecan oil. 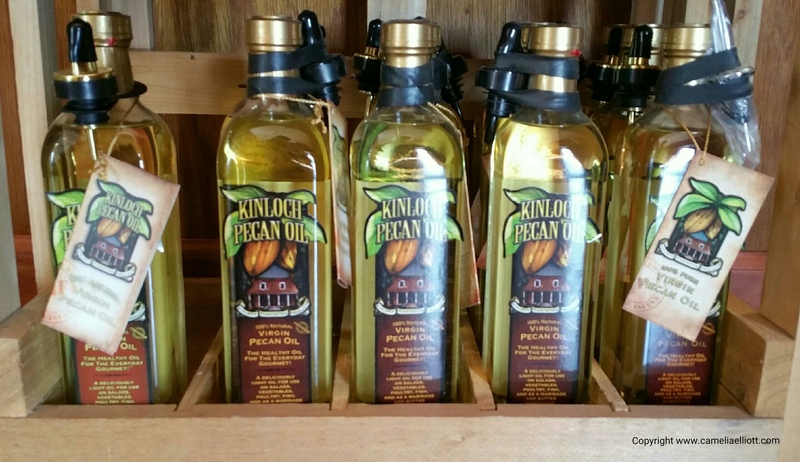 According to Kinloch’s Plantation Products, 100% virgin pecan oil has 9.5% saturated fat and is a lower saturated fat than; olive oil at 13.5%, corn oil at 13.7%, peanut oil at 17% and butter at a whopping 66% saturated fat. Kinloch Pecan Oil has over 90% unsaturated fatty acids with almost equal components of monounsaturated (50%) and polyunsaturated (40%), providing a great balance between the two. All of these nutritional factors combine to form the most heart-healthy oil available, while maintaining a desired flavor, color and quality. It is neutral in flavor and takes on the flavor of whatever seasoning is being used with it, plus has a high smoke point of 470 degrees. This oil can be used for baking, frying, grilling, sautéeing, and browning meat in a skillet. 100% natural virgin pecan oil is a heart healthy cooking oil for everyday use. According to the Royalty Pecan website, studies indicate the fatty acids in pecan oil reduce bad cholesterol and the risk of heart disease. Since pecans are full of vitamins, minerals, fiber, and anti-oxidants, they have many health benefits other than helping you trim your waistline and lower your cholesterol. 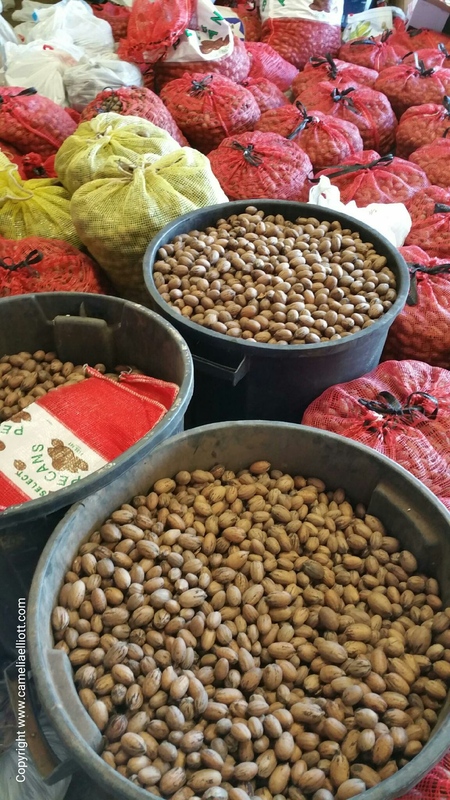 “Scientists have proven that pecans have more anti-oxidants than any other tree nuts,” says Cindy Wise, Executive Vice President of The Texas Pecan Growers Association. Garcia offers special flavors of pecans during the holidays or by special order year round. These include: white chocolate mint, orange blossom, pina colada, hot and spicy, milk chocolate, praline, frosty spice (cinnamon with sugar), pumpkin spice, natural raw pecans. 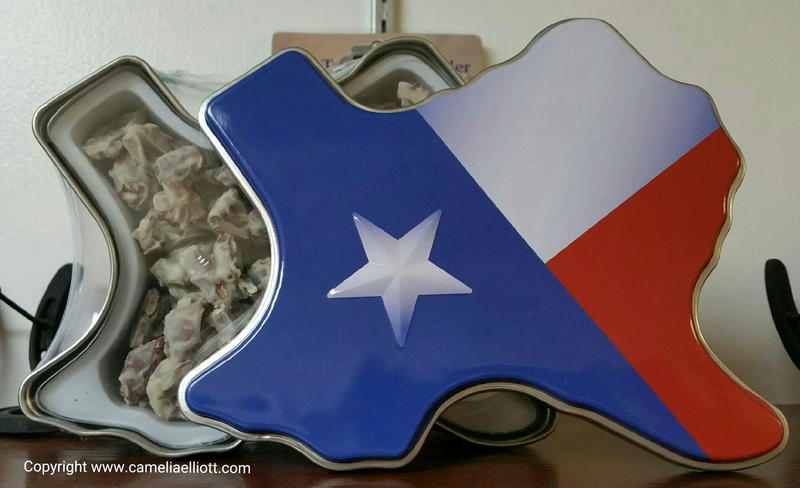 White chocolate peppermint pecans in a Texas tin.